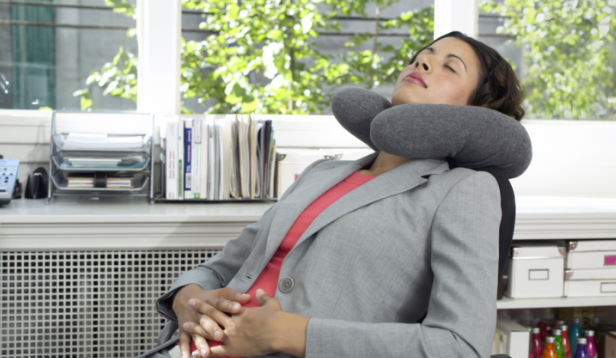 Here’s what to consider when encouraging napping in your workplace. Sleeping on the job may still be frowned upon as a sign of laziness, but in recent years, many progressive companies have begun to encourage employees to take mid-day naps to recharge. Offering employees a space to catch a mid-day siesta is now becoming a common amenity for companies looking to position themselves as progressive, dynamic places to work—almost as attractive as the office coffee machine, yet perhaps more beneficial. A 2008 study showed a power nap is more effective than caffeine. Although napping is becoming a more popular employee perk in some industries, there’s still a great deal of resistance in the corporate world towards sleeping on the job, says Terry Cralle, a certified sleep expert who helps companies to implement a company culture that encourages napping. “I’m still surprised that people are put off by napping," she says. "We’ve got great research supporting the fact that naps can help corporations and employees, yet we still feel reluctant to make it an acceptable part of a healthy lifestyle and a healthy workday." The problem, she says, is that many employers and executives equate naps with slacking off, something Cralle says couldn’t be farther from the truth. “Some large companies have workout areas or gyms on-site and yet we’re turning a blind eye to sleep and it’s a biological necessity,” she says. A quiet room with couches, a hammock or, if you have the funds, a sleep pod, is essential to encouraging employees to nap. Cralle says while the mid-afternoon nap comes naturally to some, others need to learn how to nap. Having a space that encourages the body to shut down is key to training them to nap. Make napping part of company culture. Making napping a part of company culture means employees won’t be sneaking shut-eye away from supervisors and co-workers, but rather sends the message that naps are encouraged as a way to help employees perform at their best. Encourage employees to time their naps appropriately. A nap before a meeting or a major presentation could make all the difference between success or a performance flop. A NASA study showed a nap of just 26 minutes can boost productivity by as much as 34% and increase alertness by 54%.